The Clifden Glen is the perfect area for families with younger children or teenagers. The grounds of the Clifden Glen have a tennis court, mini golf and a playground. There is an on-site bar, which is only a 2 minute walk from the house. There is also fishing and beautiful walks close by. There is a huge green area to the front of the main reception area of the complex ideal for the kids & adults to monkey around ! The Owenglen river runs through the Clifden Glen complex – make sure and bring your fishing rods (you can purchase a fishing licence in the town centre). This newly renovated property has been converted into a very stylish beautifully laid out 2 story detached cottage based in the holiday village of Clifden Glen; which is on the Galway Road and is 1 mile from Clifden Town Centre, the Capital of Connemara. Ideal if you want to be near the town for convenience sake but far enough out to benefit from the peace and quiet of the country. It has two entrances, from the left and right of the house. The electricity is metered upon arrival and departure. Linen & towels are inclusive in the rental rate. Please note that €100 security deposit is required upon arrival. As long as there are no breakages or damage to the property this will be refunded on departure less the cost of utilities. Check-in time is between 4pm & 6pm (If you require a later check-in time please let us know) Check-out time is 10am on day of departure. During peak season the changeover dates are Saturdays. There is a pay as you go WiFi dongle (suitable for emails), instructions on this device will be emailed to you upon full payment along with directions to the property and information on key collection. Please note that most restaurants & cafes in the area have free internet access. Please remember to enter the County / Region / State field when making a booking as this is required to process payment. My family of 6 stayed here for a couple nights and we wish it could have been longer. It was a great location, just a few mins drive to town center. My 14 year old son and my husband both walked into town at one point even. The showers were great. Bed upstairs was super comfortable I slept so well! There was a lot of information and the hosts were very welcoming and friendly! We loved it! 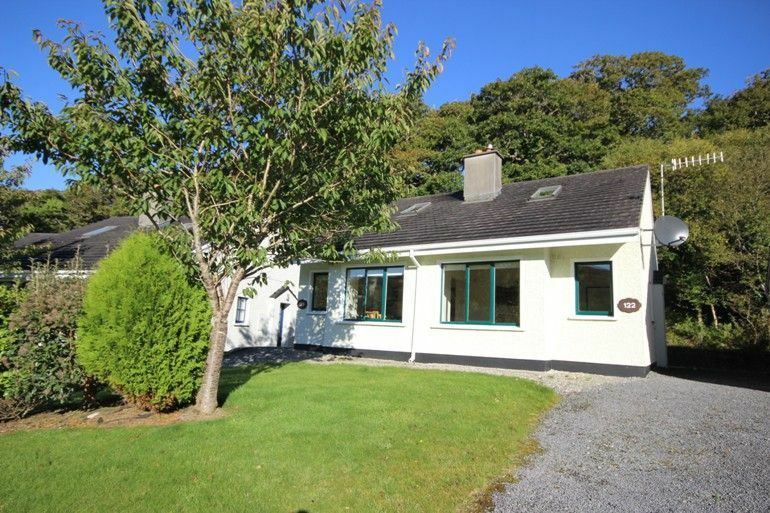 123 Clifden Glen perfect holiday home for exploring Clifden and surrounding areas .Well equipped,comfortable ,spacious property safe for children. We used the excellent tennis courts.No hesitation reccommending this property, and goode value for money. Hi Barbara. Thank you for this lovely review. Your feedback is important to us. We are delighted to hear you had a wonderful stay at 123 Clifden Glen. We look forward to welcoming you back to Connemara in the future! Take care! Hi Honor. Thank you for this lovely review. We are delighted to hear you had a wonderful stay. We look forward to welcoming you back to 123 Clifden Glen in the future. Stayed here for a wedding in Clifden. House was perfect for us just in the wrong location. Thought it was nearer to town. Also it was ok for us as we weren't on site during the day but wouldn't recommend it for families. The garden in front or house is on a slope and the playing field is a small walk away and isn't in view of the house for children to play. Rest of wedding party were staying in Station House, which is very central, walking distance to pubs, hairdresser, beautician. Discovered after we arrived that it is policy not to provide one toilet roll in each bathroom on arrival. Thought this was a bit stingy especially as we were only there for a couple of nights, never happened in any other holiday lets that we have done both in Ireland and France. Unfortunately the worktops were crawling with ants!!!! Everywhere else though was spotless. we had a nice time. kids loved it. it was disappointing to be charged for esb usage on top of the fee already paid. you would expect some reasonable usage to be deemed included and fair enough charge for excessive usage. property could do with a fresh up cosmetically, especially before coming into the peak holiday season. The house is in good condition. The location is good although walking into Clifden town is not really feasible with small children, as there are no footpaths for the first few hundred metres. Some of the furniture is a bit dated and could do with a revamp. The electricity is pay as you go, &euro;20.00 is paid before arrival to get you started it is then the guests responsibility to top up the meter thereafter, details on how to top up will be e-mailed to your before your arrival. Linen & towels are inclusive in the rental rate. Please note that a &euro;100 security deposit is pre-authorised by credit card 2 to 3 days prior to your arrival, card details are released 3 days after your departure as long as there are no breakage&#39;s or damage&#39;s to the property. Check-in time is between 4pm & 6pm (If you require a later check-in time please let us know) Check-out time is 10am on day of departure. During peak season the changeover dates are Saturdays. Please note that most restaurants & cafes in the area have free internet access.